Back to school is right around the corner and we all know that the most important meal of the day is breakfast. 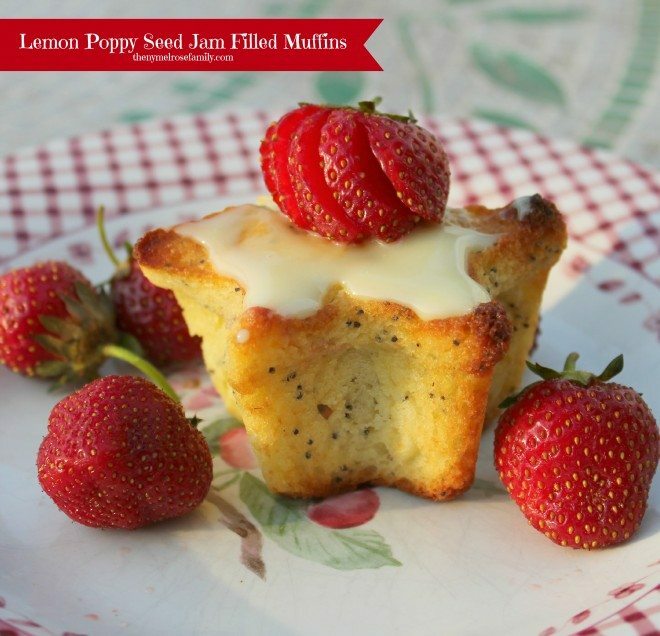 Two of my absolute favorite flavors are lemon and strawberry so I put them together in this fabulously quick and easy Lemon Poppy Seed Jam Filled Muffins. The best part of these muffins are the star shape. They make a perfect breakfast for your little shining star. Cover the jam with batter until the tin is a little more than ¾ of the way filled. To get you in the mood for Back to School, be sure to check out my Back to School Wreath and Back to School Centerpiece. You’ll definitely be inspired. Those look fabulous, Jenny! The glaze on top looks awesome! 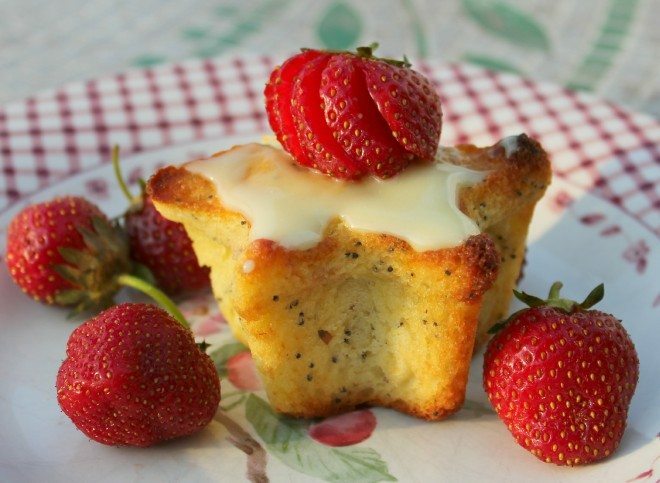 These muffins look so yummy Jenny! 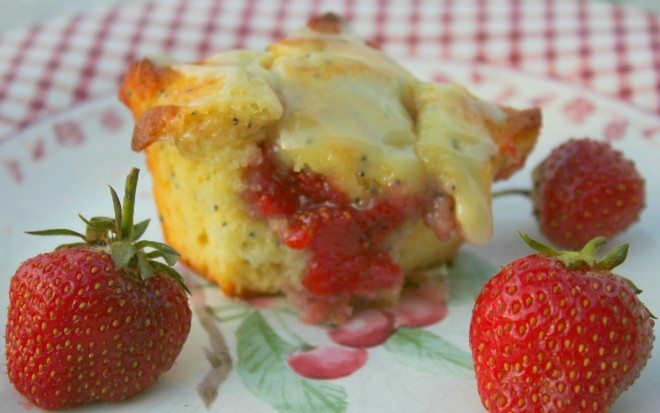 These are fantastic muffins, for all occasions.